The villains. The alpha male who reads good on the page, but you couldn’t tolerate in real life. 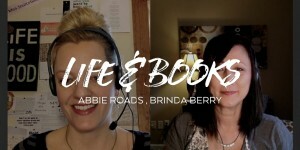 This week on Life & Books, me and Brinda Berry discuss the all important question…Would we want to hang out with our characters? If you receive my blog posts via email… There’s a video here. You will need to visit the blog to see it. Sorry for the inconvenience. While you’re here be sure to stop by my Cover Reveal for RACE THE DARKNESS! For further entries in our Life & Books Series check out these posts.